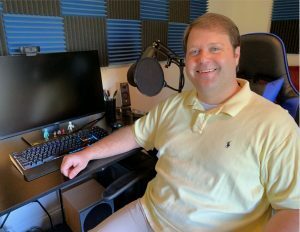 My name is Paul Joyner the host of podcast Sysadmin Today, who is a Microsoft Certified Information Systems Professional with over 19 years of real-world experience. I started back when Windows NT 4.0 Server and Exchange 5.5 were the latest and greatest from Redmond. I worked in the Financial and Distribution public sectors before becoming an IT Consultant, which I have been for over 11 years. I hold a Microsoft Certified Systems Engineer (MCSE) and Microsoft Certified Systems Administrator (MCSA) certifications. I fell in love with computers when my family bought one back in 1993 for my brother who needed one for college. I will never forget it. The computer was an IBM PS/1 486SX with 4MB Ram and a 100MB hard drive. The passion started there and I have never stopped loving or learning about technology. I am starting this podcast to share my experiences, and also be a resource where we can share ideas and help grow an already great community of IT Professionals.